This blog post first appeared over at ClarkHoward.com. Enjoy! When keeping to a food budget it’s important to keep your recipes simple and classic. 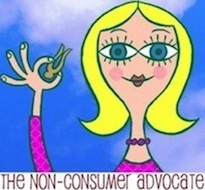 But no one wants to give up flavor in the name of financial responsibility. Guess what? 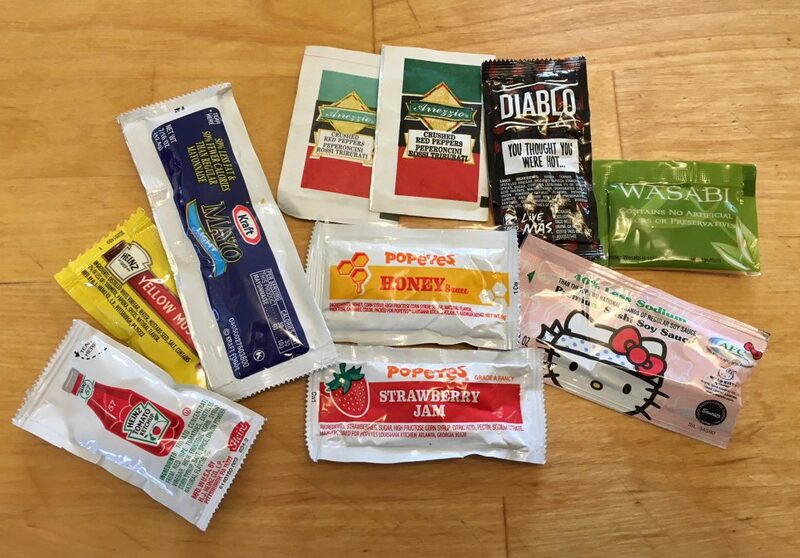 You probably already have a stash of cheap-o recipe boosters — your random jumble of condiment packets! You know, all those takeout ketchup, soy sauce and hot sauce packets that usually just languish in the back of your fridge or pantry. Luckily, there are many culinary dishes that lend themselves to the bit of this, bit of that style of cookery magic and will not only save you money, but turn out to be quite delicious. Whether you’re using your grandfather’s secret recipe as a guide or following the classic Betty Crocker version, meatloaf happily welcomes packets of ketchup, mustard, barbecue sauce, soy sauce or even the spiciness from a packet or two of Taco Bell hot sauce. You may never make it the same way twice, but you’re sure to create something special. Deviled eggs are another savory treat that easily accepts a bit of kitchen experimentation. Squeeze out your unopened packets of wasabi or simply go the tried and true route of mayonnaise and mustard. Either way, you’ll be the hit of your next potluck. You already know that marinating meat is the secret to adding flavor and moisture to an otherwise bland piece of meat. But there’s no reason to pay big bucks for bottled marinades, as creating your own is almost as easy as pouring milk over a bowl of cereal. An acid such as lemon juice, vinegar or wine. Spices and flavor, which is where you get to flex your creative muscle! Sure, you can follow a specific recipe for guidance, or simply refer to a marinade guide such as this one from The Splendid Table, but once you’ve figured out the general formula, you’ll be rifling through your condiment packets looking for jam, soy sauce, hot sauce, honey and hot pepper flakes. Pesto is traditionally made with fresh parmesan cheese, basil and pine nuts, but I’m simply too cheap to splurge on all these expensive ingredients. Instead, I’m a fan of this pesto recipe, which uses inexpensive greens such as kale. However, I’ve taken it one step further and incorporate tiny packets of parmesan cheese, which I hoard from delivered pizzas. (I’ll even scoop them up after work events.) It may take a large number of them, but they quickly pile up, especially if you’re attending events where multiple pizzas are being served. Bottled salad dressing can be a real budget buster. Sure, you can pay as little as a buck from Dollar Tree, but making your own from scratch will end up tastier and likely even cheaper. I’m partial to this honey mustard salad dressing recipe, which uses standard ingredients to create a gourmet flavor. Best of all? It’s the perfect opportunity to take advantage of all those mustard condiment packets! Or you can try this vinaigrette recipe and use up your miscellaneous jam packets. All of this dietary experimentation might not be your style, in which case you can always save those condiments for packed lunches, picnics or camping, as their small size minimizes weight and doesn’t require refrigeration. Whether you’re squeezing a ketchup packet onto a home grilled hamburger or working it into a recipe, you’re saving money by using what you already own. Resist the urge to toss these culinary gems, and instead set them aside for a night of experimentation. Also, my husband has very brittle diabetes so the jelly packets are excellent to keep on the bedside table, a jacket pocket, the car, or even purse pockets to quickly help treat hypoglycemia in a pinch. Btw, my blog was before I started my vegan and gluten free journey. Thank you! Thank you! My husband is also a brittle diabetic and I am always putting hard candies in every corner of house and car, but the jelly packets would be a good substitute and we have a ton of them. I would never have thought of that. Your so welcome, so glad I could help you. Yes! I save them in a little jar in my cabinet (so I can see and remember I have them). I like to pack them for easy sandwich assembly on road trips (I pack the ingredients, but assemble en route to avoid soggy bread). Also, my daughter is at an age where everything needs ketchup, so they’re a handy backup when we’ve forgotten to replenish at the store. And, since Chik-fil-a has real honey packets, I save those to add to tea when I travel (love me some honey tea). My son gets chicken thingies at Burger King, but doesn’t like any dipping sauce. So we choose Ranch and take it home for salad or vegetables. Thanks for the reminder on those pesky condiment give-a-ways from restaurants! I just created a clear jar for these packets so I will use them up. Hate to throw them away, but needed creative ideas for use. FYI, there is a single Hello Kitty soy sauce listed on eBay for $5 + shipping. You might want to keep that one! We rarely get any of these packets, but I have definitely used the romano cheese packets from Olive Garden to zing up a homemade pizza and have emptied salt and pepper packets into our shakers. This is such a timely article, we are getting ready to move back into our house and was seriously going to throw all these little packets away. I hate waste, but I binge watched all the Marie Kondo episodes on Netflix, and those little packets of goop do not bring me joy. These suggestions help me look at them from a new angle. I don’t get many of these packets but what I do get is sometimes odd sauces and syrups as gifts. People know we are foodies, so they give us fancy sauces but they don’t realise that we really just use the basics. The same principle applies- we have been working our way through a bottle of fig syrup as a marinade for pork. I had no idea what to use it for, but it’s amazing as a replacement for honey or maple syrup in pork marinades. I would never buy another bottle of it, but I will use it until it’s gone. Although DH and I rarely if ever do fast food these days, we do buy the occasional sushi at Wegmans that comes with soy sauce and wasabi. And, like Mand, we have friends who give us slightly weird sauces, etc., as gifts. (In our case, I think they enjoy shopping in the exotic foods aisle at TJ Maxx and Home Goods/Marshalls!) In both cases, we try for creative reuse as Mand describes. The difficult question has always been— is wine better in food or with food? There’s a web series called Struggle Meals that shows how to use these in recipes. A packet or two of salt in my overnight bag will make a warm water gargle when I feel an itchy throat. I take them with us when we go away. We use my sister’s time share or we get a hotel room with a mini kitchen. They make it easier to pack. It always amazes me how many soy sauces the restaurant throws in the bag. Weird thing. I used to have all those condiment packages, but now I don’t because we never order out! This is a crazy side effect of having really doubled down on my cheapskate ways! A good channel on you tube is Struggle Meals. The gentleman on that show hoards his packets and then makes cheap meals – in his opinion. His goal is under $2 a plate. Just be sure they’re actually food. I tossed a bunch of packets on realizing that the “soy sauce” was just caramel coloring and MSG. We’ve reduced ordering out to the dishes we just can’t make at home, and refuse the packets in the interest of lowering plastic waste, but our local Nepali restaurant is my happiest place and worth every penny. Every order comes with their homemade, real-food sauce and I’m shameless about asking friends and family if they’re gon’ eat that. It transforms plain ingredients – leftover rice, eggs, greens, etc.